Over the past decade in the tertiary education environment, there has been an increasing level of importance placed on the integration of digital technologies to support student learning and prepare students for transition into the world of work. ePortfolios have been recognised as a digital technology that has the capacity to support student growth and development. Through the use of an ePortfolio, a student can create a well-organised visually appealing record of their academic and professional knowledge, skills and attributes as well as practical achievements. The journey of the creation of the ePortfolio has the potential to develop a student’s professional identity, supporting students to make connections between their learning, the associated assessment tasks and to assist in the preparation required for transitioning into employment. The effectiveness of an ePortfolio as a tool for life-long learning is underpinned by common challenges faced by educators regarding the development of any learning activity. 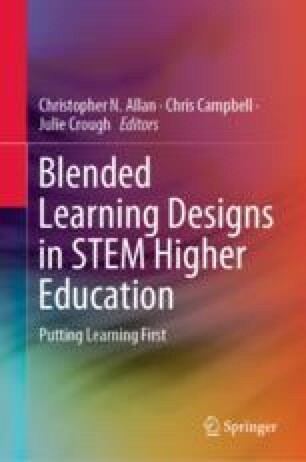 This chapter describes a conceptual framework of how to design and integrate learning activities for ePortfolios, how to support learning activities with authentic assessment that then contribute as evidence for collection and inclusion in ePortfolios and also how to assess ePortfolios using rubrics. The final section of the chapter provides a case study example of how an ePortfolio project has been scaffolded and integrated into a postgraduate coursework program at Griffith University, the Graduate Diploma in Clinical Physiology, using the whole-of-program or program-wide approach. Brubaker, K. L. (2015). Utilizing the ePortfolio to help create the next stepping stone in an undergraduate student’s career. Retrieved November 29, 2018, from https://digitalcommons.brockport.edu/surc/2015/schedule/115/. Pelliccione, L., & Dixon, K. (2008). ePortfolios: Beyond assessment to empowerment in the learning landscape. In Hello! Where are you in the landscape of educational technology. Proceedings of ASCILITE. Melbourne, Australia. Retrieved November 1, 2018, from http://www.ascilite.org.au/conferences/melbourne08/procs/pelliccione.pdf. Tosh, D., Werdmuller, B., Chen, H. L., Light, T. P., & Haywood, J. (2006). The learning landscape: A conceptual framework for ePortfolios. In A. Jafari (Ed. ), Handbook of research on ePortfolios (pp. 24–32). IGI Global. https://doi.org/10.4018/978-1-59140-890-1. University of New South Wales. (2018). Assessing with ePortfolios. Retrieved November 1, 2018, from https://teaching.unsw.edu.au/assessing-eportfolios.